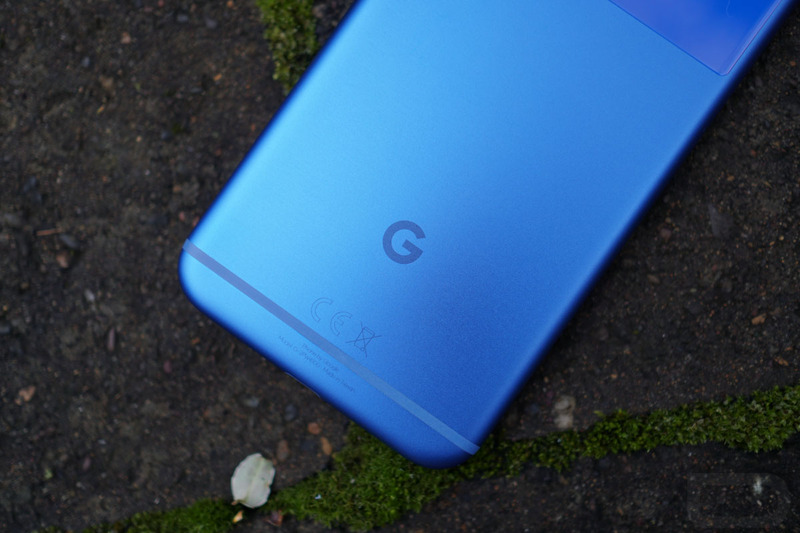 We don’t quite know yet when Google intends to launch the Pixel 2 or Pixel XL 2, but already, reported specifications for the larger of the two are circulating. According to a listing from GFXBench, a popular benchmarking tool that all upcoming devices seem to go through, the Pixel XL 2 shares a few specifications with other 2017 flagships. Keep in mind, though, we aren’t 100% on whether any of this info is accurate. As listed, the “Pixel XL2″ could come with a 5.6″ display with a resolution of 2560 x 1312. For the folks paying attention, that’s the same resolution found on the upcoming Essential Phone, but 5.6” is smaller than the displays found on the LG G6 and Galaxy S8. However, it’s still nearly an 18:9 aspect ratio (technically it’s 1.95:1), something that seems to be trending quite heavily. This would also be a good time to remind everyone that it was reported Google was/is helping LG to push for mobile OLED displays. 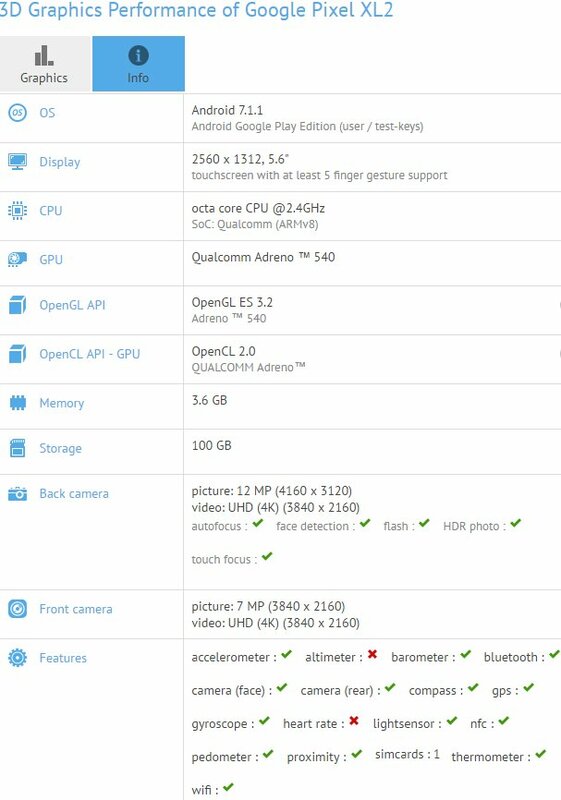 Other specs listed include 4GB RAM, a Qualcomm-made octa-core processor, Adreno 540 GPU, 100GB storage (that’s what GFXBench lists, but it’s probably an inaccurate reading of 128GB), and 12MP rear-facing camera (currently unknown if dual cameras are to be used in the Pixel 2 and Pixel XL 2). Another thing to note, GFXBench lists Android 7.1.1. running on this device, meaning Android O probably wasn’t yet flashed to whatever preproduction unit this is. Below is the graphic containing all the reported info. Feel free to share your hot take below.